This is Time To Think SPDY to HTTP/2 Upgrade. Nginx web server is ready to support HTTP/2 by the end of this year, reusing part of the SPDY. Cloudflare already published a bigger article on SPDY to HTTP/2 Upgrade. 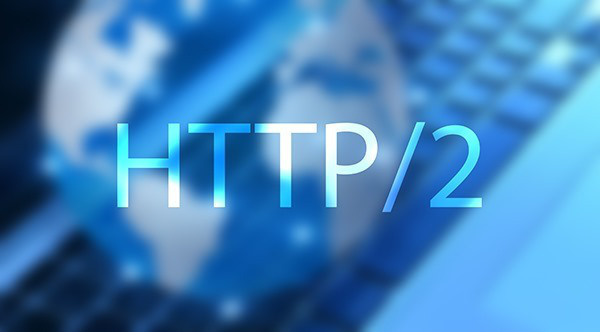 HTTP 2.0 is the next version of HTTP, based on Google™s SPDY. SPDY to HTTP/2 Upgrade is not just simply changing a directive on server block. We are taking Nginx as the standard web server software for this discussion. Nginx always supports the current HTTP 1.1 protocol and SPDY. With the announcement of HTTP 2.0, Nginx is ready to HTTP 2.0 by the end of this year. HTTP 2.0 is the new generation of the current protocol on which the entire Internet is waiting and that is renewed after about 16 years. This certainly does not mean that the standard has been finalized and is appropriate to operations, but indicates that all its specifications have been defined conclusively and documentation can go to the RFC for final approval as a final standard. Even after the declaration standards, however, the protocol does not engage immediately in business, also because it will be implemented and supported in the browsers and Web servers. Among the Web server, Nginx still ready to support this new technology and the reason for this security is in full support to the draft version 3.1 of SPDY, which Google has decided discontinuation of the development and exclusion from Chrome. The fact that HTTP 2.0 is largely based on SPDY allows Nginx to already to have a solid base of code ready to be used in order to accommodate the new HTTP protocol when this will become standard. One of the major changes of HTTP 2.0 is based on TLS protocol, which Nginx wants to give a persistent implementation approach. In addition, the new Internet protocol introduces some differences in the management of priorities, in order to provide greater control over the traffic flows. The greatest challenge is not so much in the implementation in browsers and Web servers, as in the adaptation of Web sites, which will have to be optimized for HTTP 2.0. There could be a lot of work for optimization and re-engineering of the websites, especially to maintain compatibility with older clients. Nginx will able to act as a web server to assist the Web developers during the period of transition from one protocol to another, but HTTP version 1.1 will not disappear entirely, for a period of time ranging from five to ten years in front. This Article Has Been Shared 3728 Times! What is Cross-Origin Resource Sharing (CORS)? Why we need to know about (CORS) in the context of HTTPS? Here is in details discussion. Here is brief technical guide for the coding part for Google Search in Sitelinks on WordPress using JSON-LD in real complicated custom search. Cite this article as: Abhishek Ghosh, "SPDY to HTTP/2 Upgrade and Nginx," in The Customize Windows, March 4, 2015, April 21, 2019, https://thecustomizewindows.com/2015/03/spdy-to-http2-upgrade-and-nginx/.